Roads were closed by flooding and fallen trees. 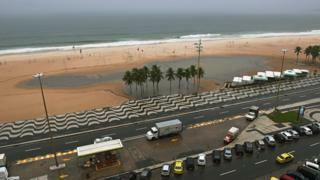 Large parts of the city have been affected including Copacabana beach. Residents have been warned to go outside only if they absolutely need to. 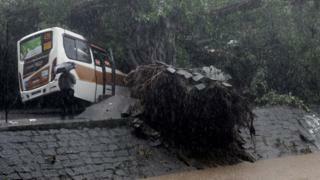 Mayor Marcelo Crivella said that the rains were "abnormal". 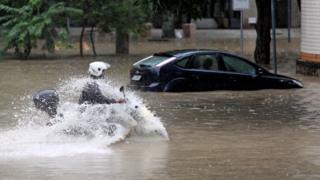 He added that the worst affected areas were the southern and western zones of the city. 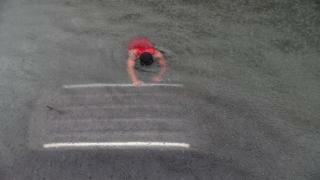 Firefighters were searching for people who may have been trapped in flooded cars. 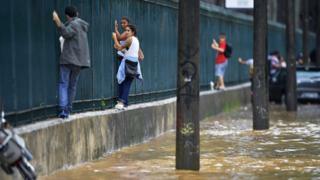 People have been told to avoid walking in flooded streets as the water may be contaminated. 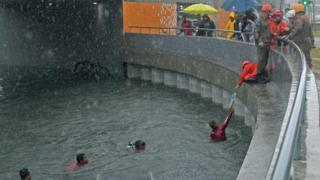 Over 5,000 people are working to minimise problems caused by the weather, the mayor said. 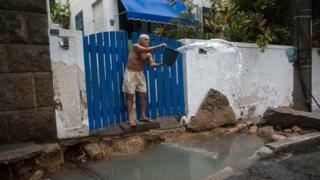 Landslides are one of the risks facing residents following the heavy rain. 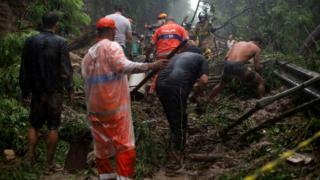 In November, 10 people, including at least one child, were killed in a landslide caused by flash flooding in Rio de Janeiro state.